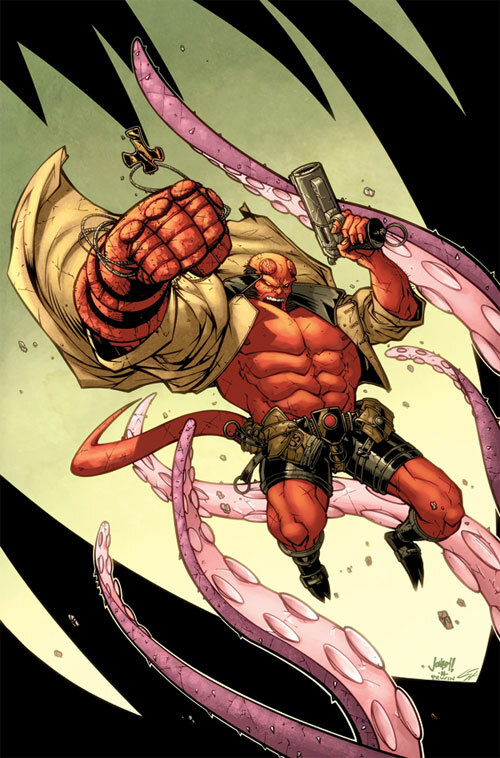 A well-meaning demon whose true name is Anung Un Rama (Meaning “…and upon his brow is set a crown of fire…”), Hellboy is a ficitional character and a comic book superhero. 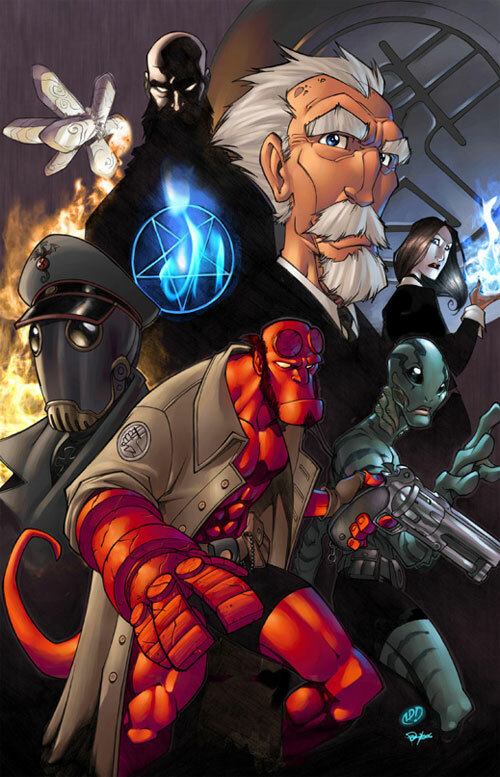 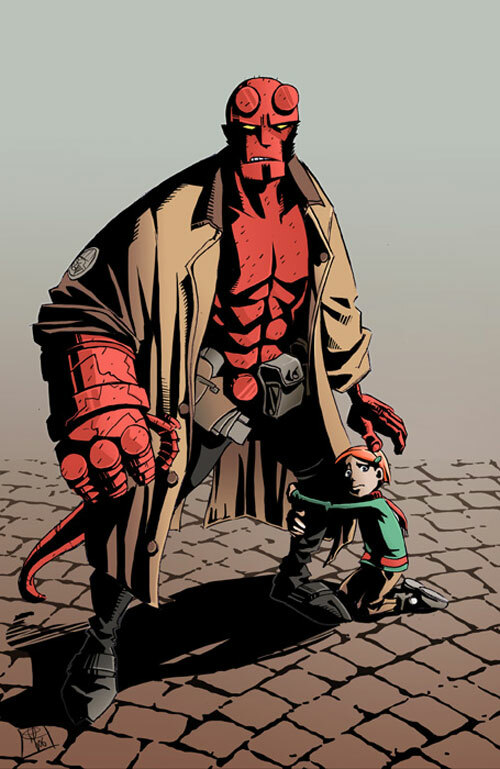 Summoned from hell to earth as an infant by Nazi occultists (spawning his hatred for them),Hellboy was discovered by the Allied Forces and was raised by Professor Trevor Bruttenholm, who formed the United States Bureau for Paranormal Research and Defense (BPRD). 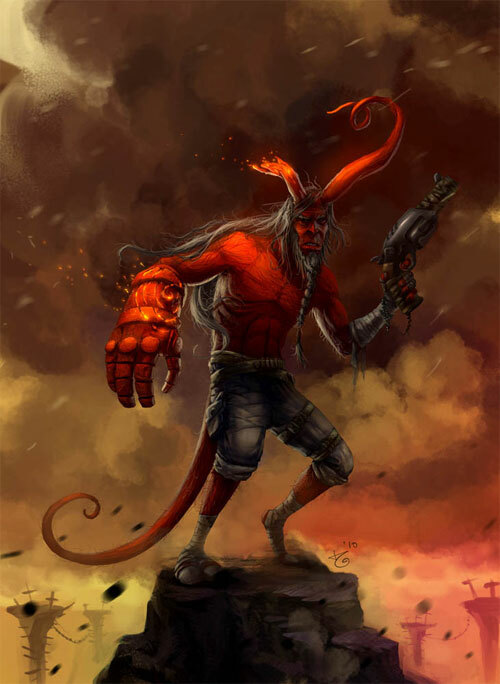 As years passed, he grew to be a large, red-skinned demon with a tail, horns (which he files off, leaving behind the signature circular stumps on his forehead), cloven hooves for feet, and an oversized right hand made of stone and has been described as smelling of dry-roasted peanuts. 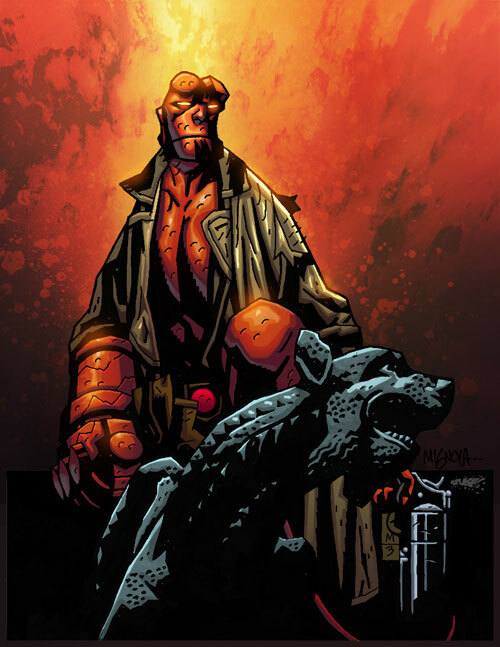 Although a bit gruff, he shows none of the malevolence thought to be intrinsic to demons, and works with other strange creatures in the BPRD. 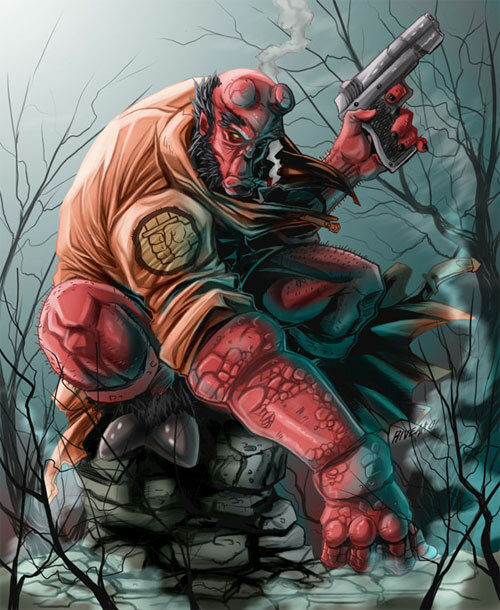 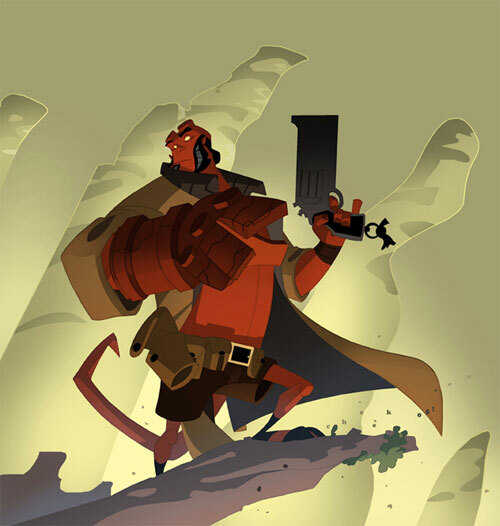 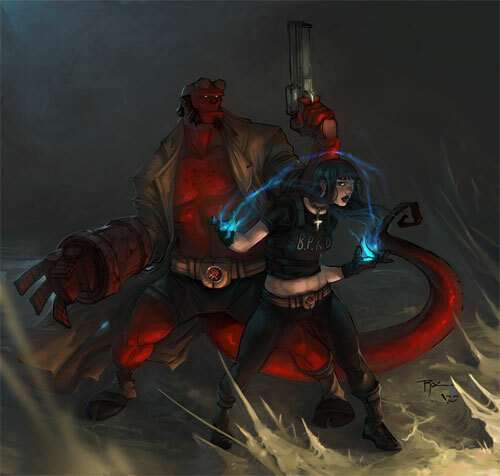 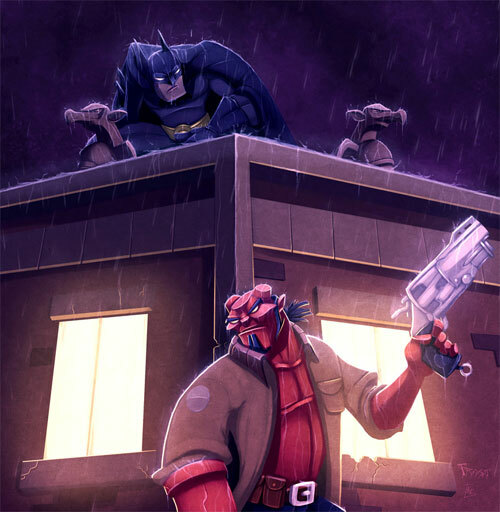 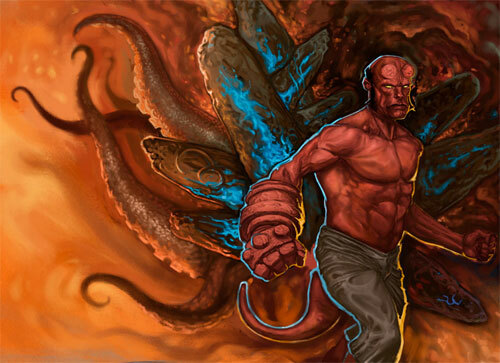 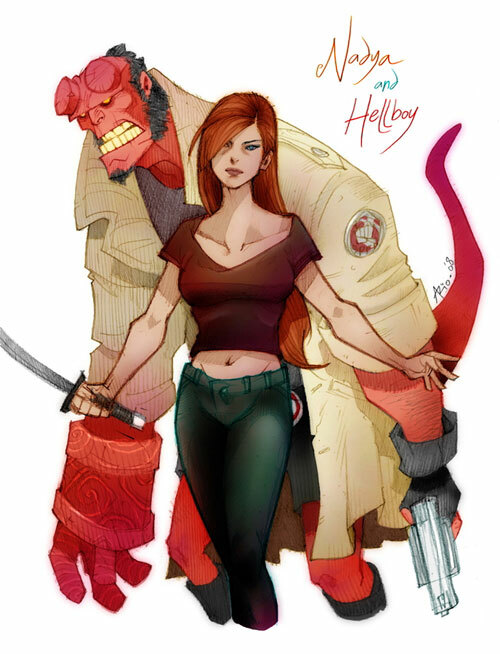 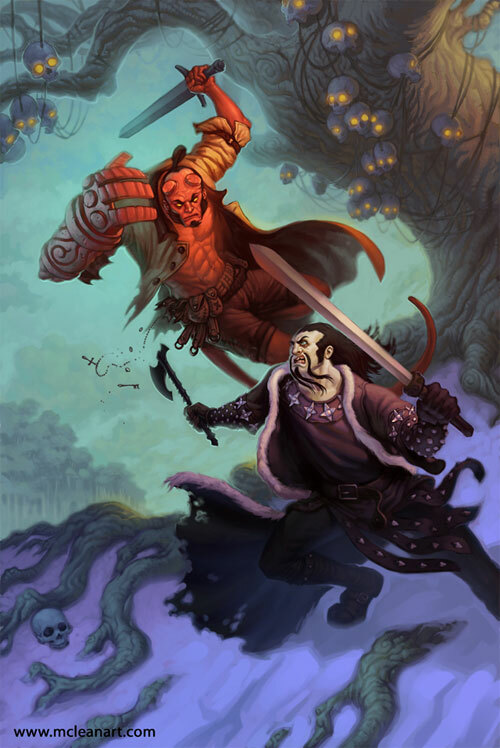 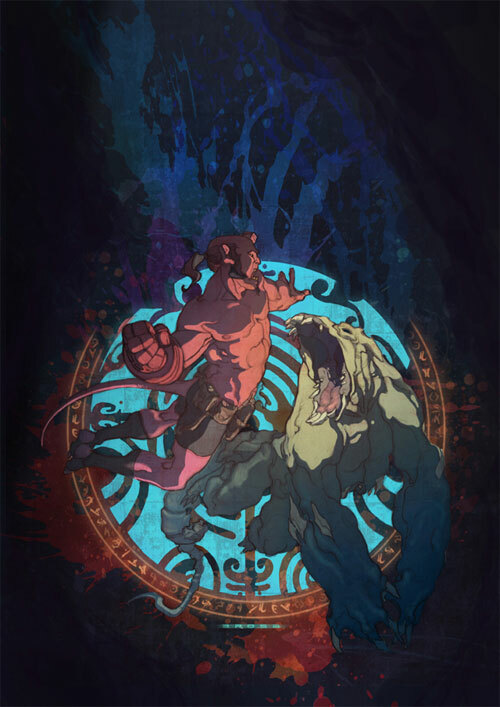 This 40 Hellboy Artworks showcases some awe-inspiring masterpiece by talented designers. 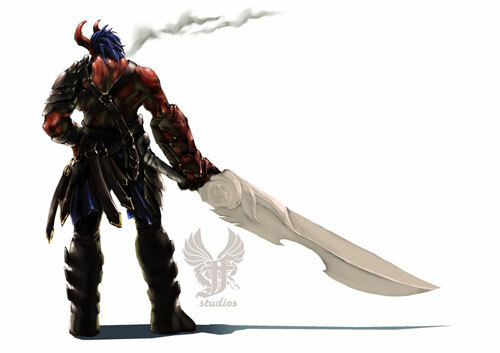 Browse through the collection and let the creativity inspire you!! 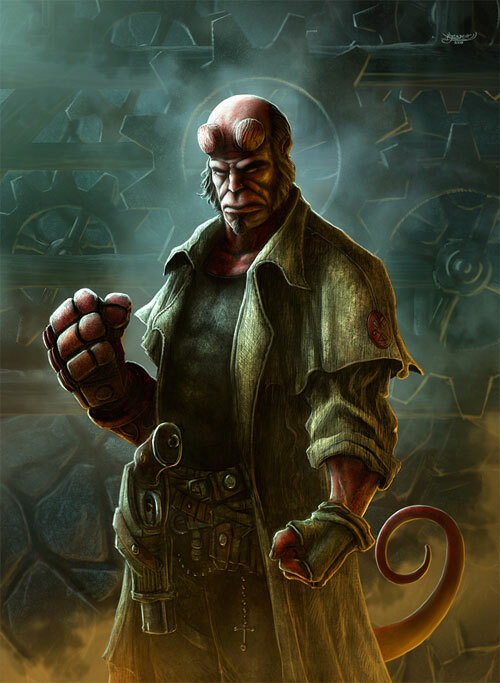 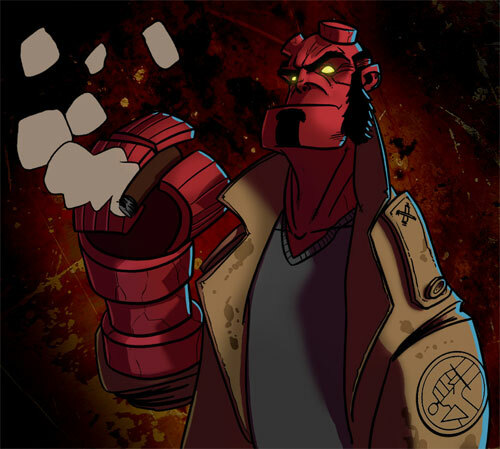 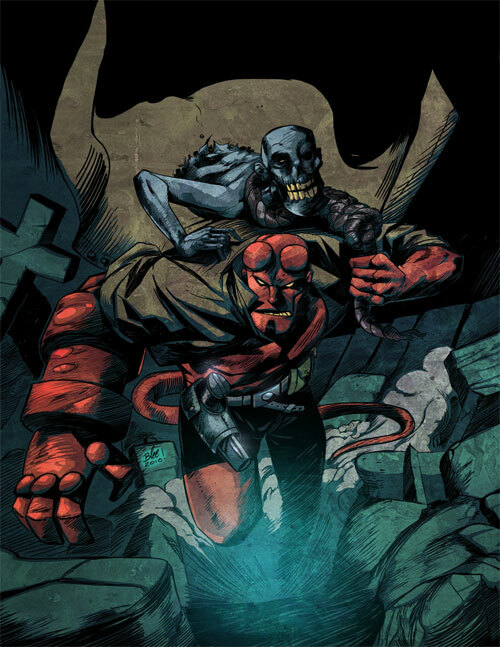 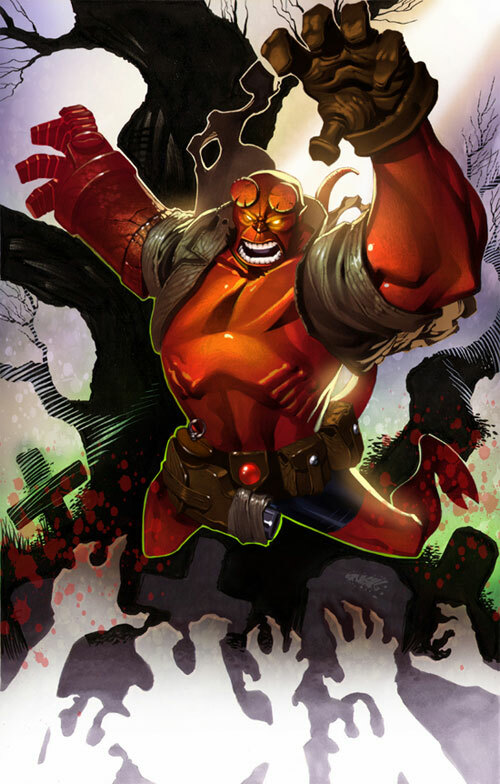 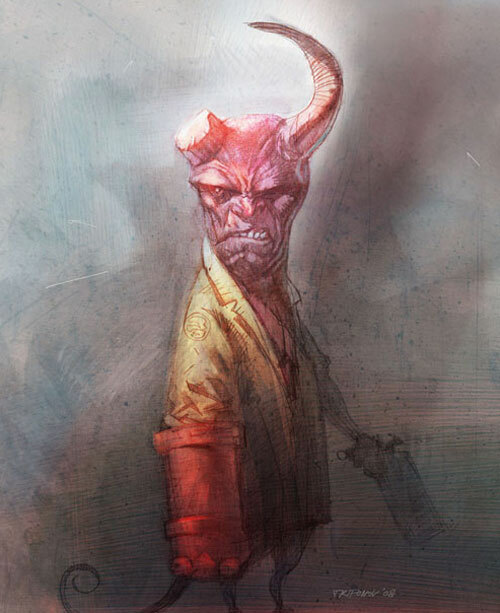 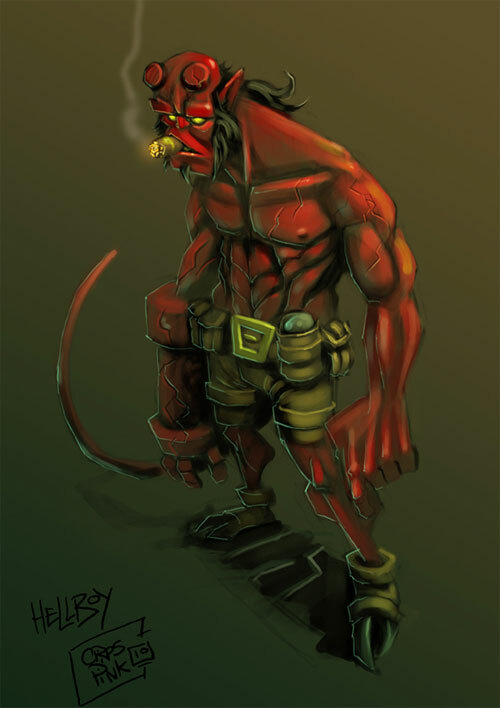 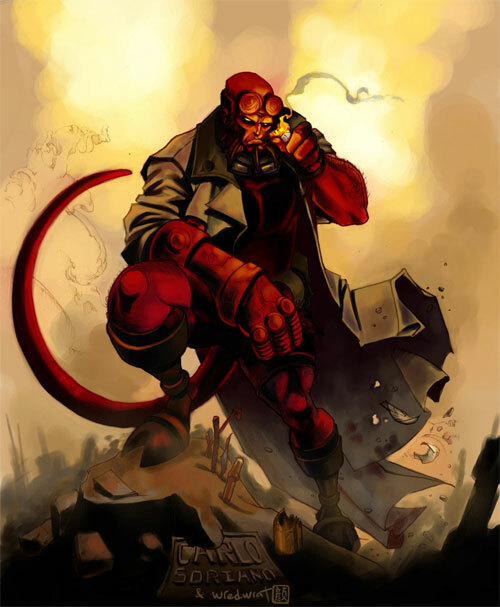 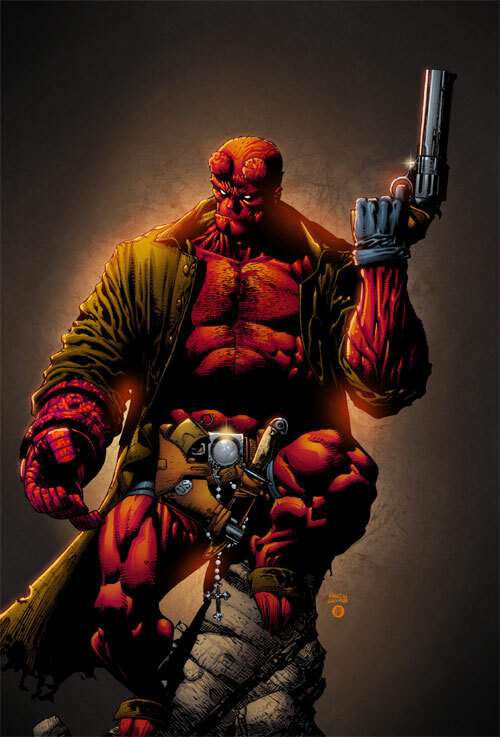 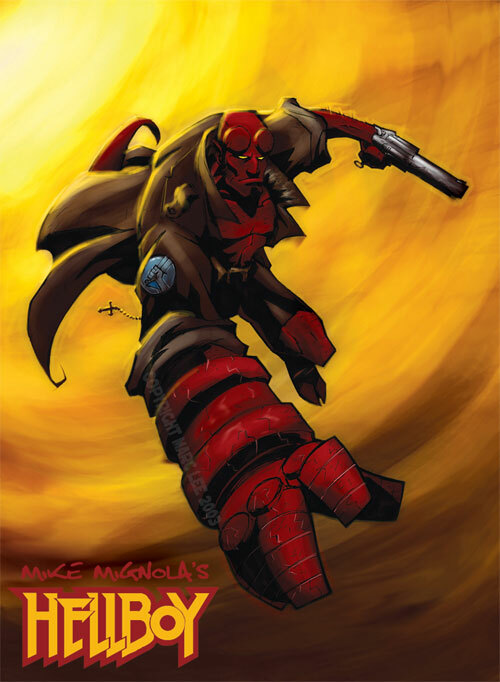 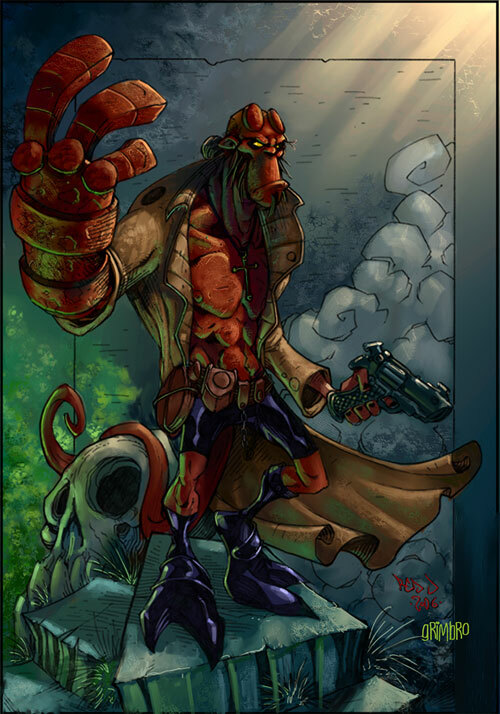 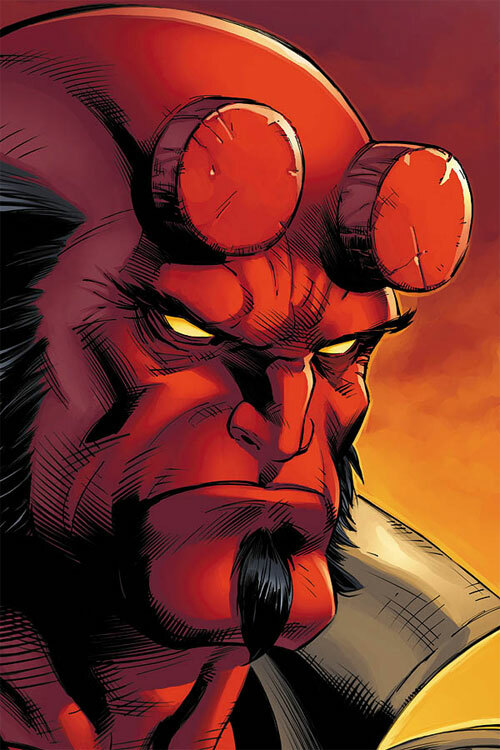 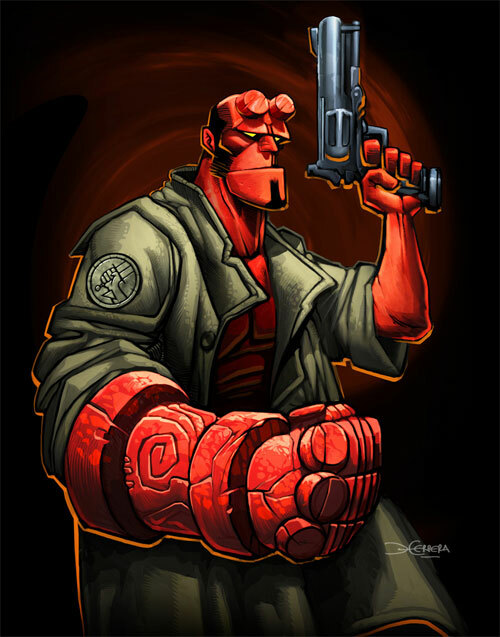 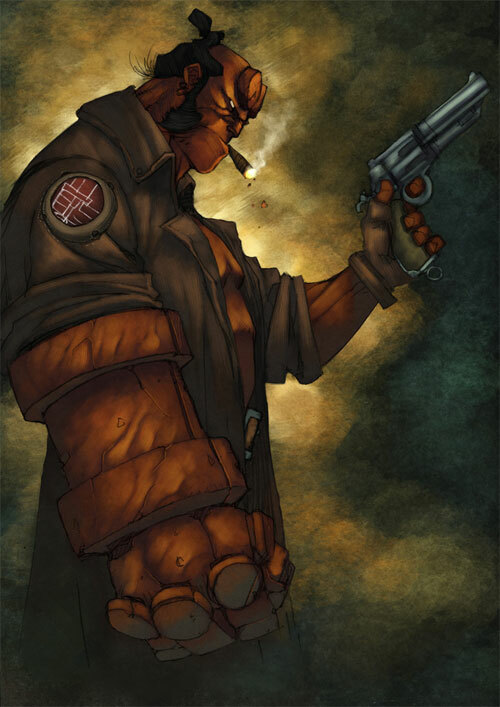 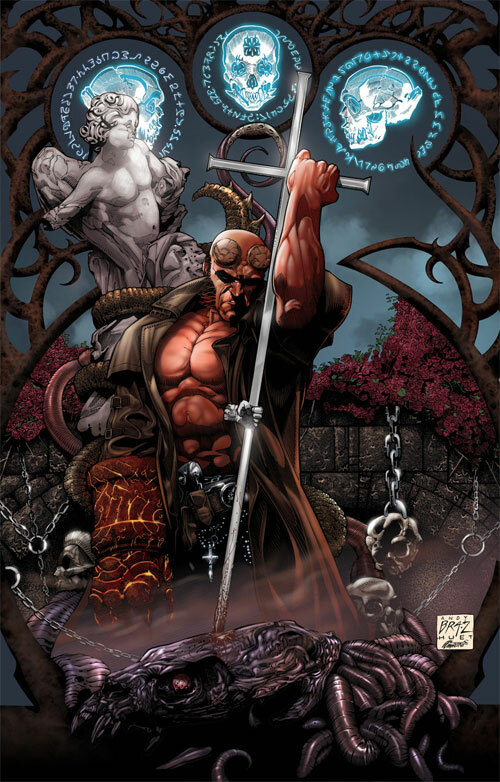 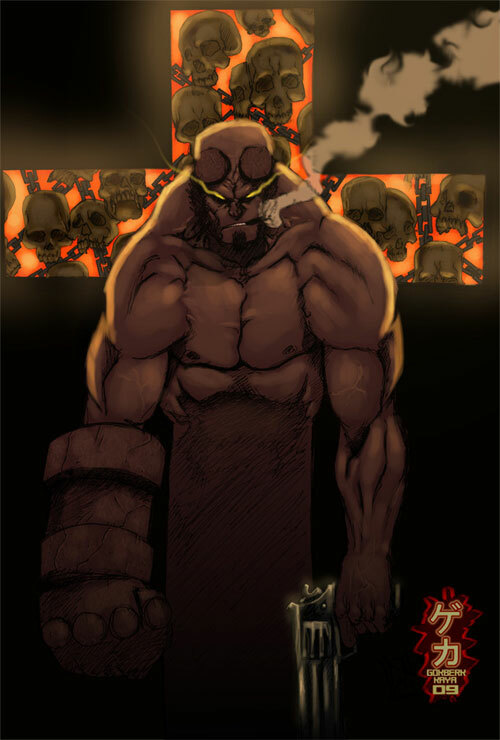 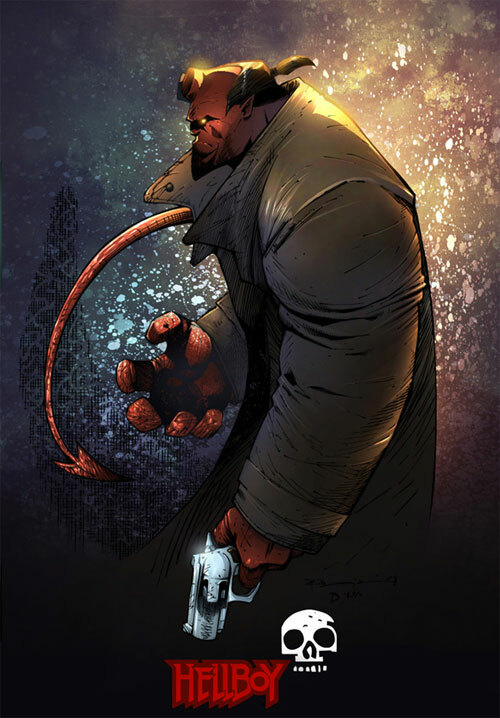 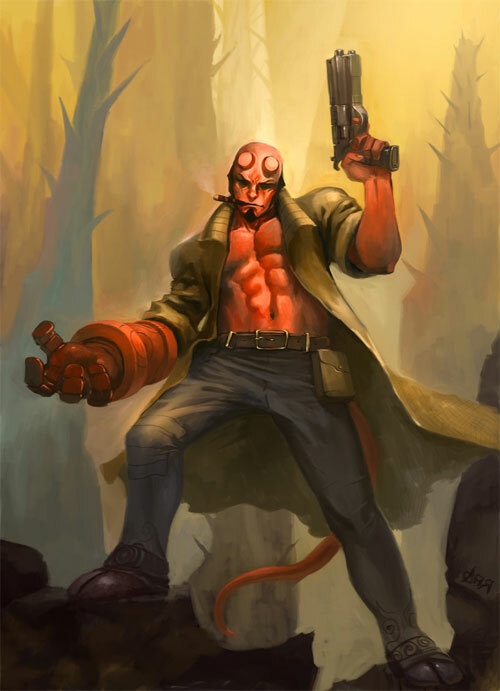 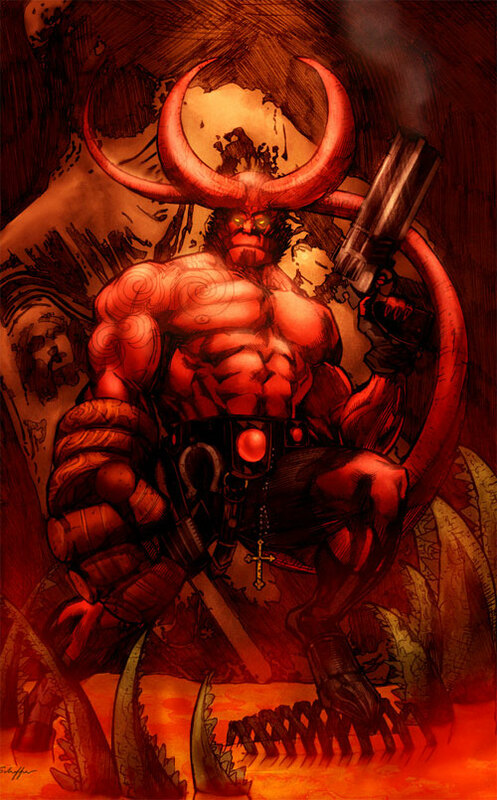 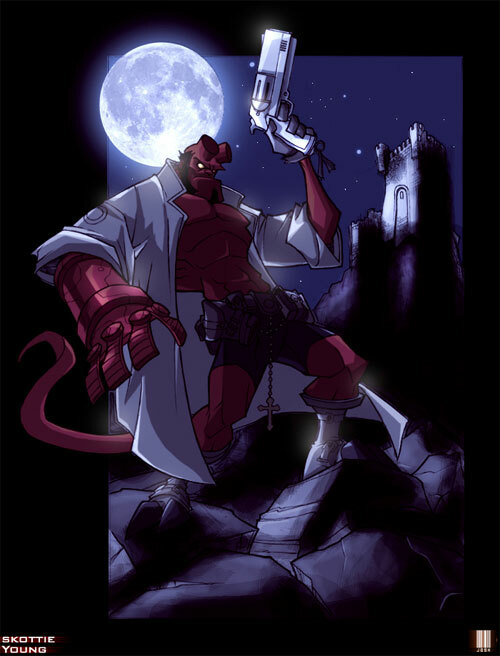 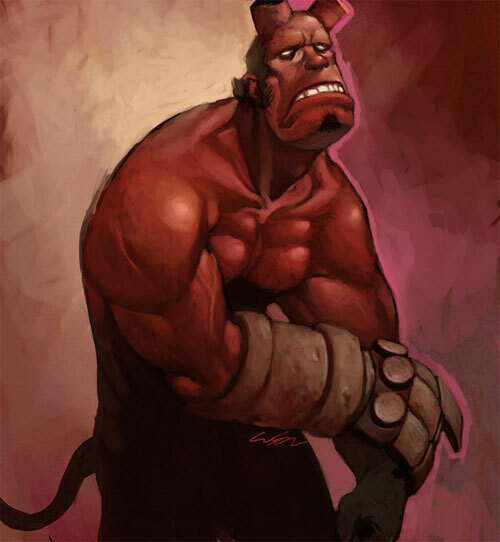 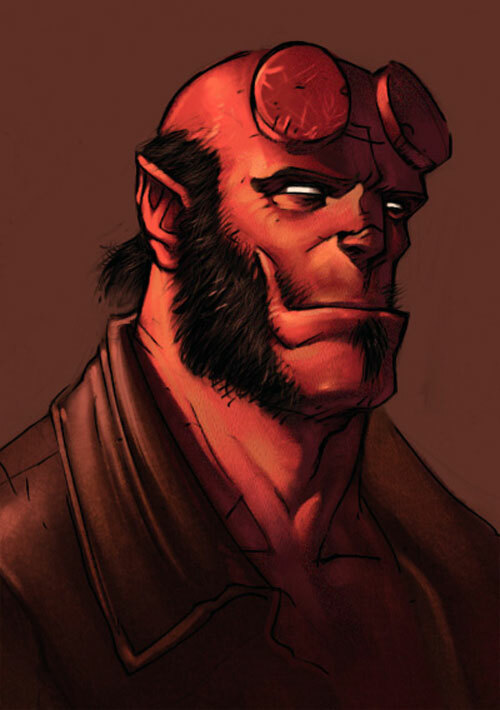 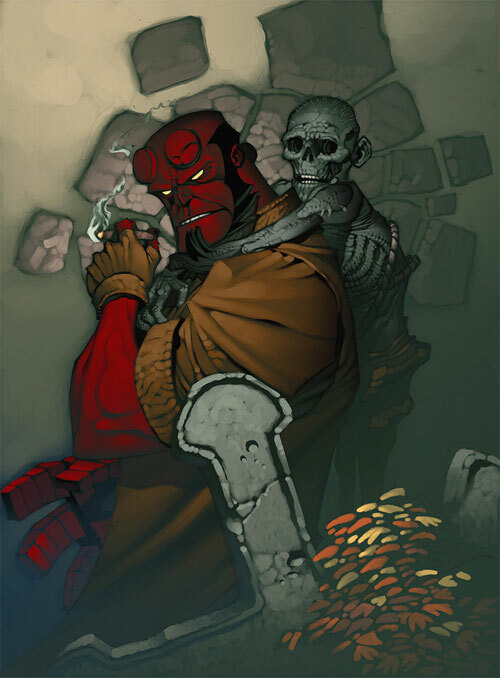 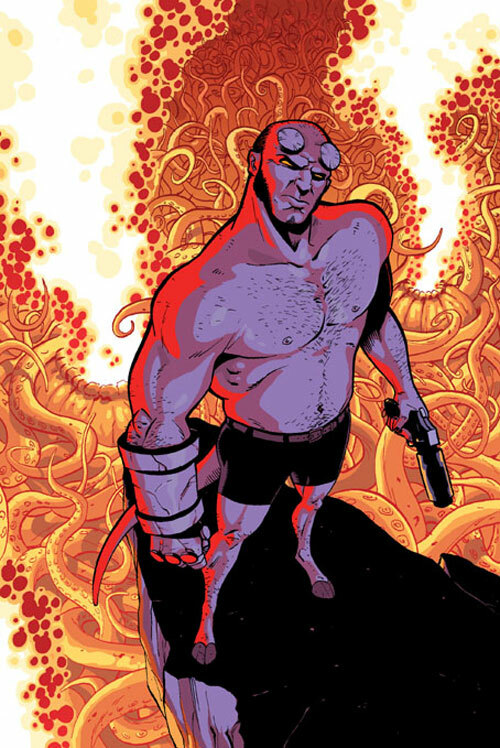 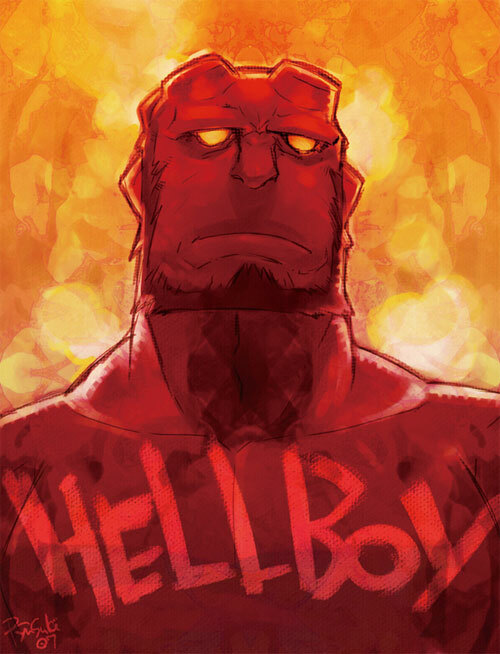 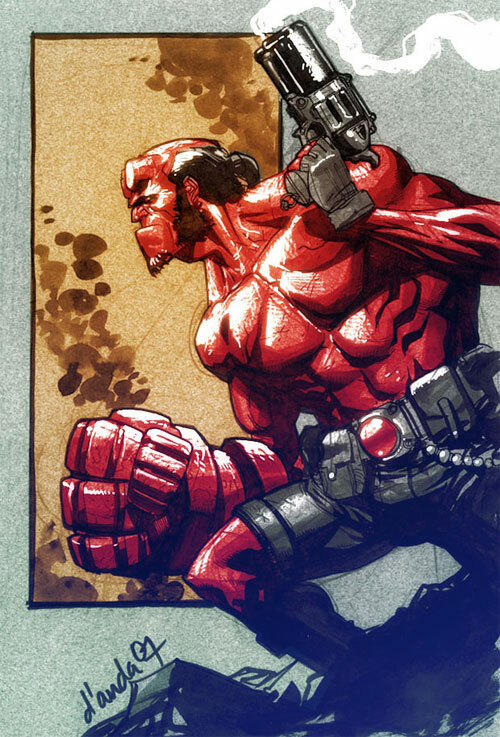 The hellboy character had made such an impact to its readers that a movie interpretation of the character has been made. 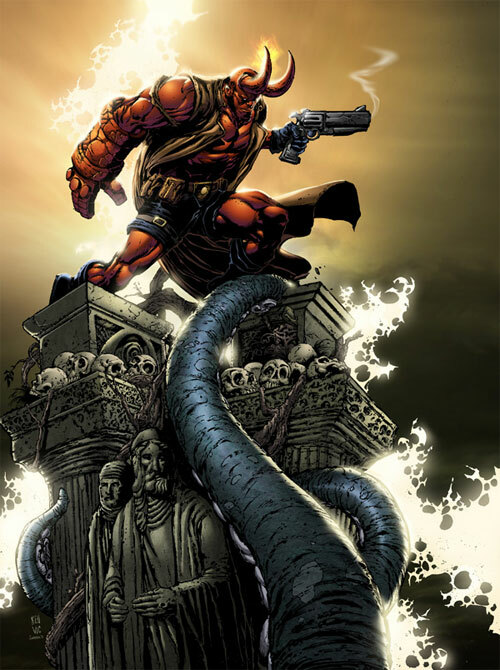 Despite its unusual setting, the superhero had created its own mark in history.